ISLAMABAD, July12 (APP):Pakistan, on July 17, is filing the second counter rejoinder in International Court of Justice (ICJ) in the case of Indian spy Commander Kulbhushan Jadhav, Foreign Office Thursday said. 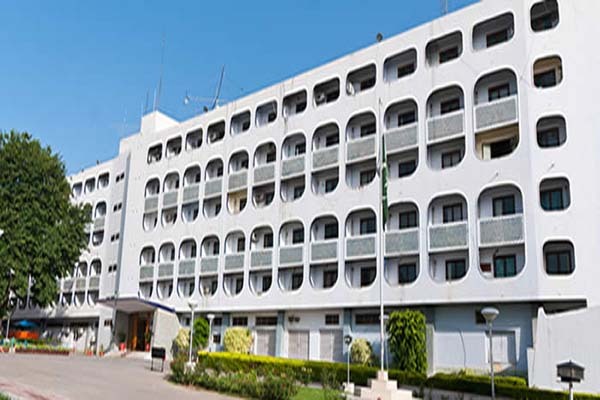 “Our team has prepared a comprehensive reply to Indian rejoinder, which will be filed on July 17,” Foreign Office Spokesman Dr Muhammad Faisal said in a press briefing here. He said earlier, Pakistan on December 13, last year had filed its counter memorial before the ICJ, a world court in The Hague which is looking into the Indian complaint on the conviction of the Indian spy. He said the hearing of the case would start after completion of submissions from Pakistan and India. On Afghanistan, the spokesman said Pakistan urged upon all factions of Taliban to consider reconciliation and believed that there was no military solution to the issue other than an Afghan-owned and Afghan-led strategy. He said Pakistan supported all sides to renounce violence and mentioned that the country was already engaged with five working groups of Afghanistan. About Pakistan’s relations with the United States, the spokesman said the dialogue between the two countries was in progress. He said the continuation of talks was reflective of the will of Pakistan and US to move forward and expressed the hope that things would go in right direction. About reports of five Indian citizens arrested for carrying Uranium, the spokesman said Pakistan was deeply concerned over the incident and termed it a “very serious” issue. He said the report was an indication of the sale of nuclear material in black market in India, which was a matter of grave concern. About the second death anniversary of Kashmiri leader Burhan Muzaffar Wani marked on July 8, he said the struggle of martyred youth was against the inhumane and treacherous Indian rule in IoK. He termed Kashmir as the cornerstone of Pakistan’s foreign policy and the country maintained the same stance since 1948 to date. He said Pakistan had been repeatedly demanding recognition of Kashmiris’ just right to self-determination as enshrined in the relevant UNSC resolutions and called for a UN-mandated plebiscite in Jammu and Kashmir. About India’s response on the Office of United Nations Commissioner for Human Rights (OHCHR) Report on Kashmir, Dr Faisal said India in its exasperation was reacting to the report, which vindicated its brutalities and atrocities in Indian occupied Kashmir (IoK) since decades. He said Pakistan called upon the international community to take cognizance of the human rights situation in IoK as well as of the OHCHR Report, and immediately ask India to stop the bloodshed. The spokesman mentioned that Indian occupation forces during last week killed eight Kashmiris including teenagers Andleeb Jan, 13, a 11th grade student Ubaid Manzoor Lone, a 10th grade student Tamsheel Ahmad Khan, Shakir Ahmad Khanday, 19, Irshad Ahmad Lone, 22 and Sameer Ahmad Sheikh in Kulgam, Shopian, Sopore and Kupwara areas. He expressed concern over shifting of resistance leaders Aasiya Andrabi, Nahida Nasreen and Fehmeeda Sofi to India’s infamous Tihar jail wherein other detained political leaders including Shabbir Ahmad Shah, Masarrat Alam Bhat and others were already languishing in inhumane conditions.